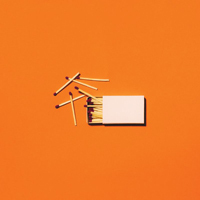 The “Living With A Fire” live album was released on August 31, 2018. “Move” was sung by Chris McClarney in the key of C sharp major or D flat major (C# | Db). “Not Afraid” was sung by Kim Walker-Smith in the key of F sharp major or G flat major (F# | Gb), and first appeared on the 2017 “Here” live album by Red Rocks Worship, as performed by David Anderson in the key of B major (B). “Center Of Your Love” was sung by Kim Walker-Smith in the key of F sharp major or G flat major (F# | Gb), and first appeared on the 2017 “Center Of Your Love” extended play by Upper Room, as performed by Hannah Sheets in the same key. “For No Other Reason” was sung by Chris Quilala in the key of C major (C). Back to Love Has A Name.